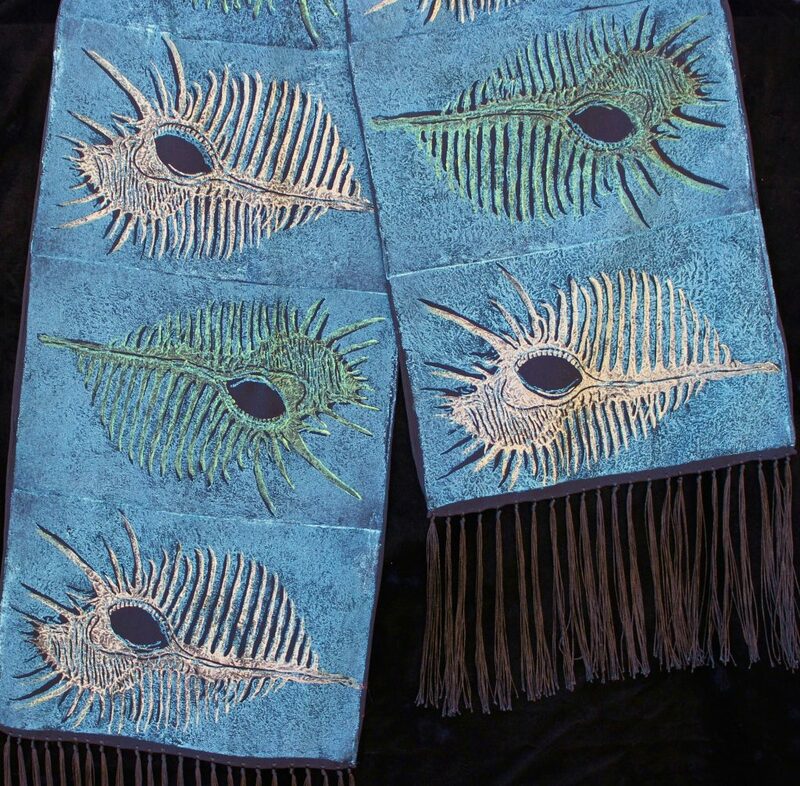 Scarves may have slight texture due to the metallic inks; however, they are permanent. "Peacock Shell" is a two block print of turquoise, white gold and green. Color may vary slightly due to light on metallic inks. Hand wash by holding fringe and let drip dry, combing out fringe with fingers. Do not rub, iron on wrong side, wool setting, also can be dry-cleaned. Please call if any questions: 831-425-8430.